Love those bars you've got on that thing Tom. How's it with no front brake? same progression i had. my xs650 really turned me off to jap bikes. that thing was non stop issues. it was fun to build but it was kinda a bummer to ride. 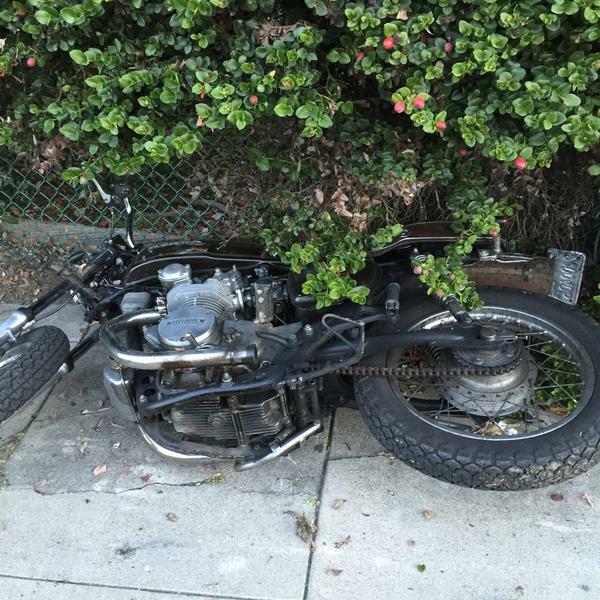 my sportster never left me stranded but being solid mount i wasnt stoked on the numb feet thing after long rides. wasnt the best for 2 up either. stoked on my dyna though i just did an oil pump/camp plate upgrade and swapped out the cams to some andrews cams. My dyna is a 2000 so i just wanted to get away from the spring loaded chain tensioners so i used the stock stuff from a 2007. i had to get a roller chain conversion sprocket from andrews and i used andrews 37n cams. it was easy to do and im happy with the performance. i need to get it on a dyno and get the carb tuned properly it should really rip after that. Did you get ripped off? Someone trashed my bike on friday night. No idea who or why. Rebuilt my first engine yesterday. 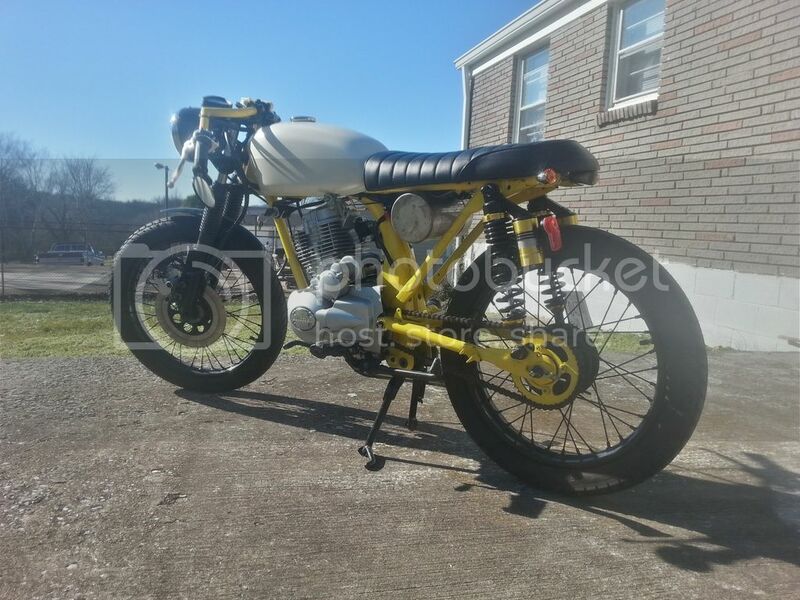 These early Honda motors are super simple, especially since this ones a sohc. Didn't dig into the crankcase but replaced every gasket from the crankcase up, cleaned the pistons, cam case, and timed the cam. Now I just need to setup the valves and points. 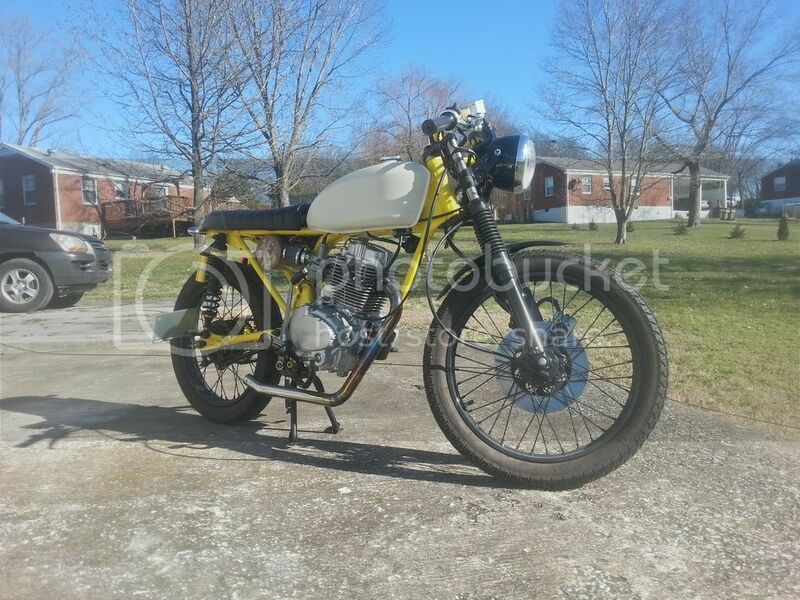 my little '75 cb125 cafe racer. fresh powdercoat all around. chinese 180cc engine with GP shifting (kind of awkward) very much a work in progress. plate mount needs to be sorted out. new exhaust, removing the center stand, button up the electrics, and different bars. I hate the clubman bars. my sportster 1200 has gp style style shifting and ive grown to love it i cant imagine going back to 1 down 4 or 5 up after getting use to it. Aesop Rock - Having rode a cruiser for a couple years, here's some thoughts. I'm swapping mine tomorrow (Honda Shadow Aero 750) for an older Honda CBR1000F as I don't like the foot forward riding position and lazy engine. If you do get a sportster or similar, get one with mid controls, not forward, I'm pretty sure my kidneys have been taking a hammering, plus there's no way to 'stand up' over bumps. I'd go with a Japanese bike with some sporting potential. Something like a Suzuki SV650/1000, Honda VFR.